Java applications like JIRA and Confluence run in a “Java virtual machine” (JVM), instead of directly within an operating system. 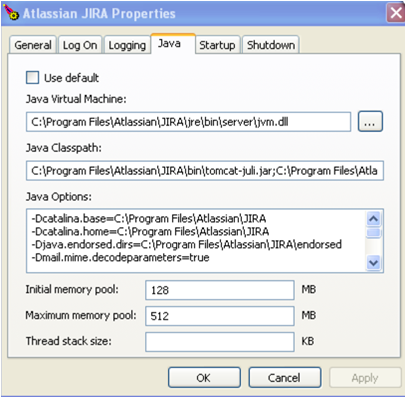 When started, the Java virtual machine is allocated a certain amount of memory, which it makes available to applications like JIRA. By default, Java virtual machines are allocated 64 MB of memory, no matter how many gigabytes of memory your server may actually have available. 64 MB is inadequate for medium to large JIRA installations, and so therefore JIRA memory needs to be increased. This server has been allocated a maximum of 768 MB and a minimum of 256 MB (typically defined in the setenv script which is executed by running the start-jira script). If you are trying to see whether your settings are being picked up by JIRA, this is where to look. 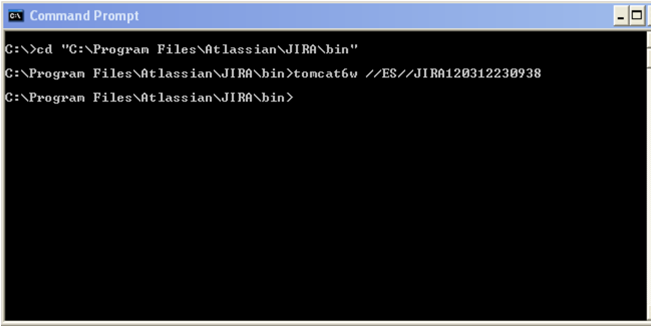 Here, you can see that JIRA has reserved 742 MB, or which 190 MB is actually in use. If this JIRA instance were running out of memory, it would have reserved the maximum available (768 MB), and would be using an amount close to this. The amount marked Available is the amount in kilobytes you have free to allocate to JIRA. On this server we should allocate at most 214 MB. As a rule of thumb, if you have fewer than 5000 issues, JIRA should run well with the default 768 MB. Granting JIRA too much memory can impact performance negatively, so it is best to start with 768 MB and make modest increases as necessary. As another data point, 40,000 works well with 768 MB to 1 GB. 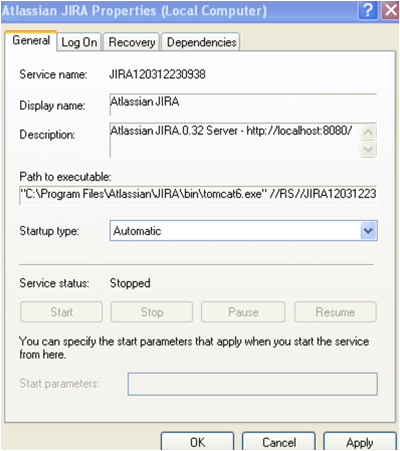 There are two ways to configure system properties when starting Running JIRA as a Service, either via command line or in the Windows Registry. 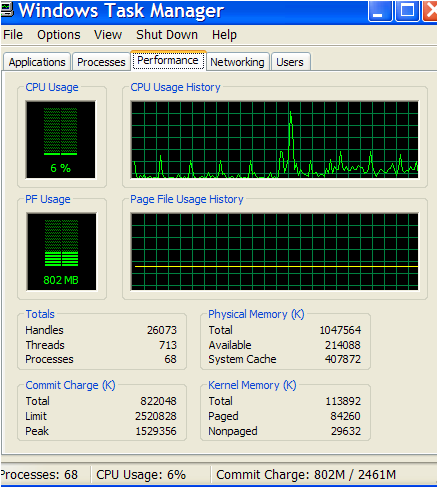 Set the maximum memory allocation here.